MARRIED COUPLES! take your sweetheart out for a dance/date night. Come to the 5:15pm Mass for a blessing on your marriage immediately followed by DANCING and light refreshments in Holy Family Hall. 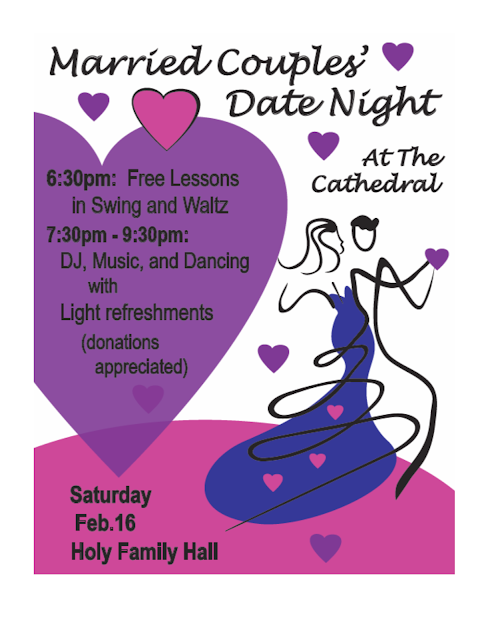 Free dance lessons in swing and waltz will be offered before two hours of DJ music. Dress up, invite your friends, and date your beloved.